All White Stone homes currently listed for sale in White Stone as of 04/22/2019 are shown below. You can change the search criteria at any time by pressing the 'Change Search' button below. If you have any questions or you would like more information about any White Stone homes for sale or other White Stone real estate, please contact us and one of our knowledgeable White Stone REALTORS® would be pleased to assist you. 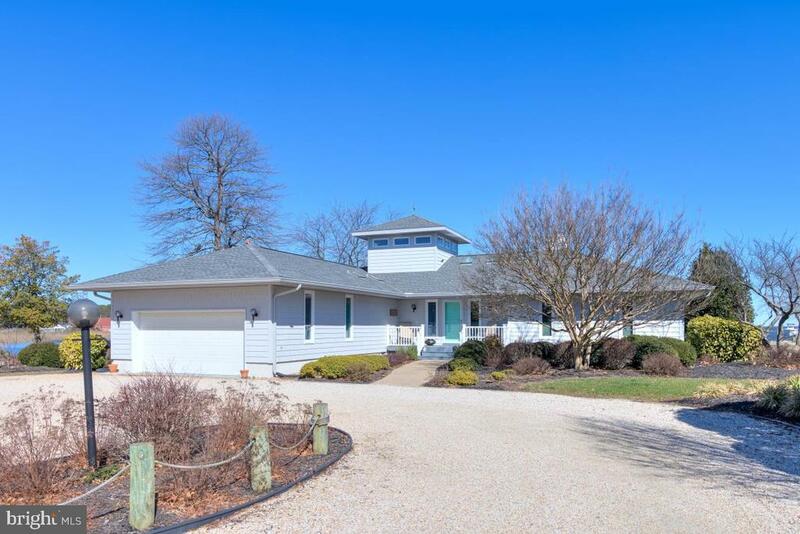 "This sophisticated coastal home is sited on a private 1.5 acres off a quiet road near White Stone. Totally renovated, it has a virtually maintenance-free exterior, handsome entry, and waterside brick veranda. 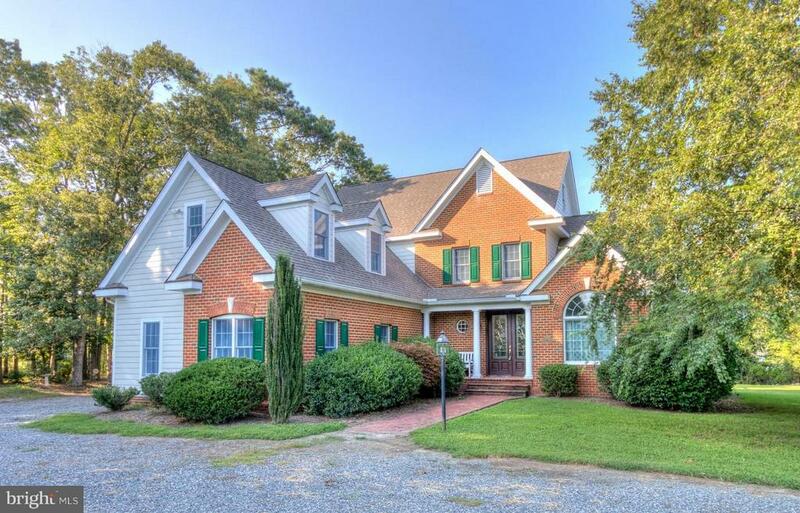 Accented by sturdy white columns, this home extends a gracious Southern welcome. The bright formal dining-living room has French doors lining the outer wall. The striking great room has spectacular views of this classic Bay setting. Fine details: hardwood floors, stone fireplace, 5-piece crown molding, walls of glass and white custom cabinetry, convey an understated elegance. A cozy fireplace sitting area opens to the light-washed great room with vaulted ceiling and glass doors. The doors lead to the veranda & terrace, encircling the waterside pool, and a large screen porch with brick floor and beadboard ceiling. A dining area is framed by the raised kitchen counter with glass cabinets and wall of windows with water views. The polished kitchen with lighted cabinetry with desk, granite counters & center island is a great place to gather. The laundry/mudroom leads to a 2-bay garage & full bath with pool access. 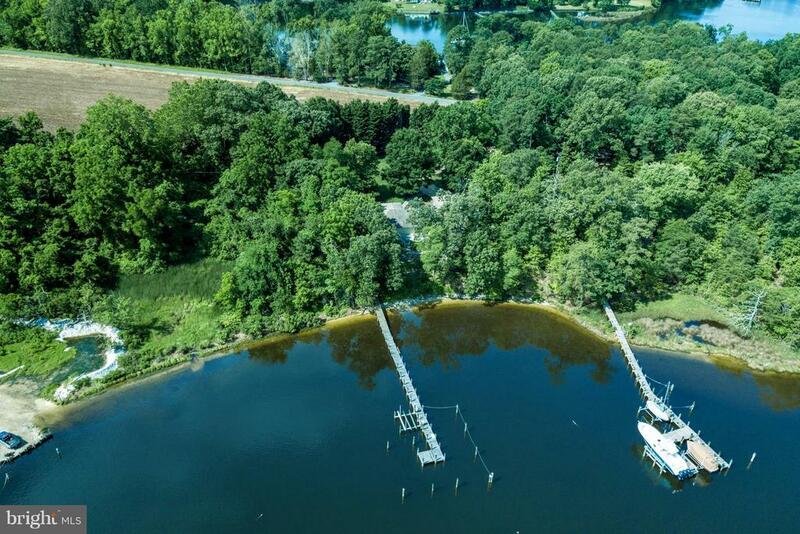 A dock with boat lift on protected water provides an ideal harbor." "Paradise at the Point! 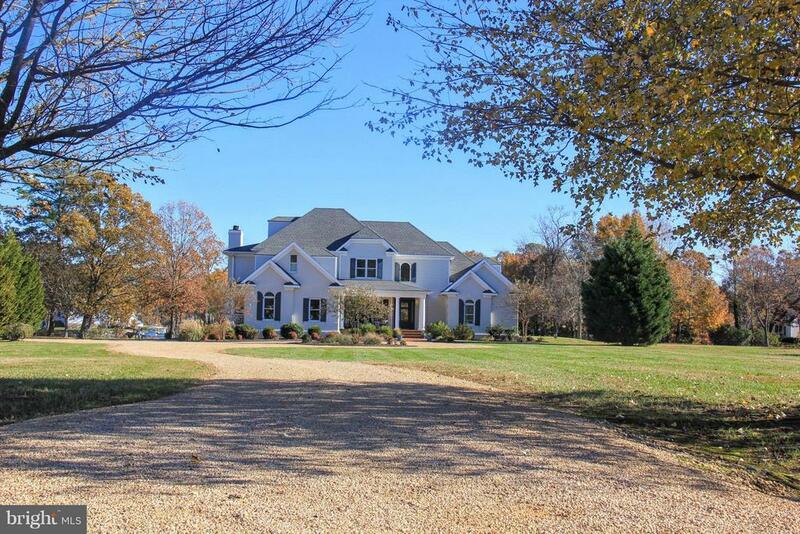 Enjoy amazing views out to the Rappahannock River and unique of views of a group of islands that are teeming with wildlife. A sand beach, swimming pool and deep water dock provide many different ways to enjoy the water. Bring your large boat for dock and launch your kayak off the beach to explore the islands! The property consists of a main residence and 2 guest houses. The main residence features an open floor plan with stunning views from the great room. The gorgeous gourmet kitchen features a wolf stove, subzero fridge, and bar seating. The open dining area has a custom driftwood chandelier. The spacious master bedroom has a large walk-in closet and bath with soaking tub, shower and dual vanities. The 2 1st floor guest bedrooms have attached baths. There is a powder room off the great room. There is a large bedroom on the 2nd story with commanding views and a half bath. An over sized attached garage has room for multiple cars and workshop. There are 2 guest houses with full baths, kitchen, and living area. Both have a 2nd story bedroom with great views. Square footage is for main house only." "Imagine bay views stretching as far as your eye can see while you listen to the sound of water on the shoreline & your family plays on a sand beach. Stop imagining & make your dreams a reality at this coastal inspired home located close to amenities! Extending out from the rip rapped shoreline, the new dock is built to last & features steps to the sand beach, 3.5-4' MLW, an 8,000 lb boat lift, & a large L head with sitting room. 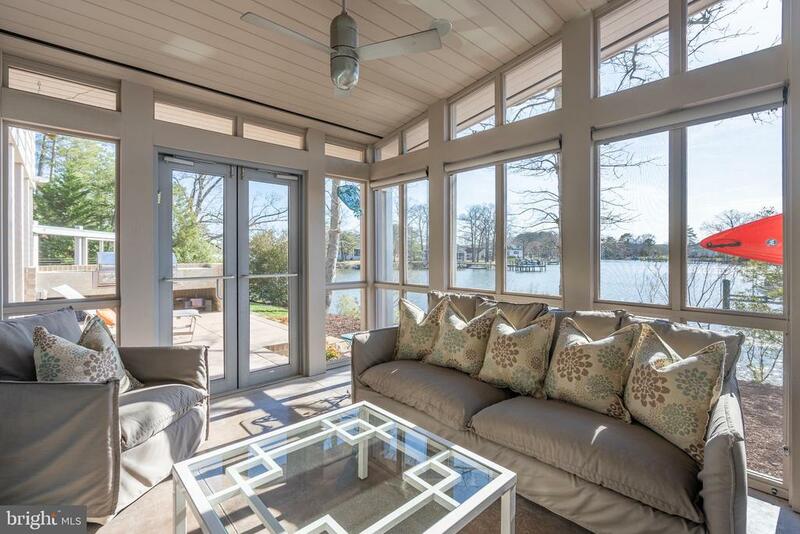 Relish the outdoors on the spacious waterside deck and patio. The new vinyl cedar shake siding is low maintenance and beautiful. Enjoy entertaining and family time with the open floor plan and water views from the living room, kitchen and dining area. The kitchen has new appliances, new counters & refaced cabinets. New wood floors run through the bedrooms & living areas. The master bedroom has gorgeous views & an updated master bath including dual vanity and custom tile shower with multiple shower heads. The split floorplan offers 2 spacious guest rooms, a full guest bath & powder room. As practical as it beautiful, the home offers ample storage and a tidy laundry room. There is an oversized 2 car garage with room for storage & work space." 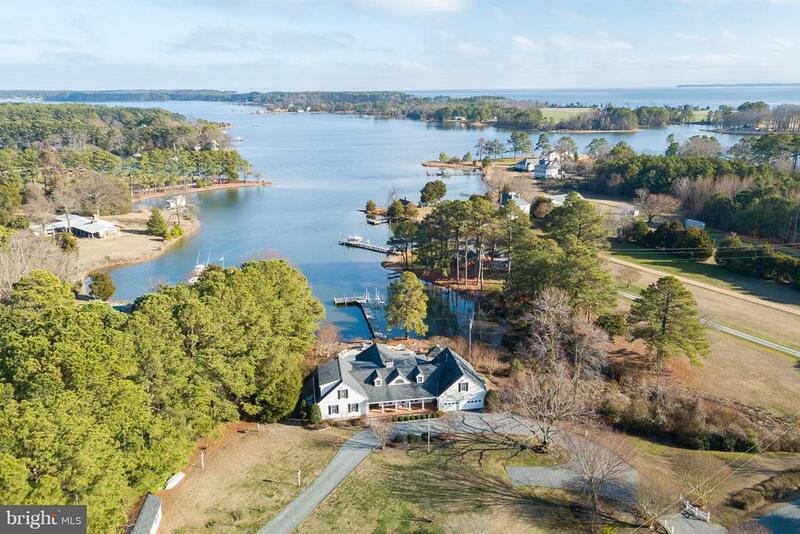 "Privately situated on 2-acre site with 250+ ft of shoreline, this coastal home is framed by shallow woods on the landside & offers picturesque views of Carters Creek on the waterside. With elements of mid-century modern architecture, this one-floor design highlights walls of glass on waterside. Featuring a cathedral ceiling with exposed beams & glass doors that open to the large Creekside deck." "This waterfront home has beautiful water views and lots of outdoor space, open floor plan, wood floors, first floor master bedroom, tons of bonus space for guests or rec. 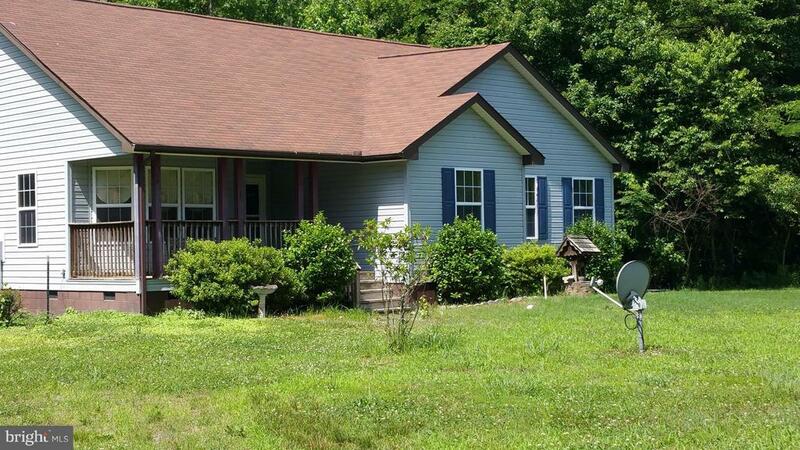 rooms, garage for storage, dock with boat lift and close to amenities. This property is priced to SELL and is listed far under the assessed value. Sellers are motivated and ready to help your waterfront dream come true." "Imagine sittin' in the mornin' sun on your sand beach! It is so beautiful, you might still be sittin' when the evening comes! 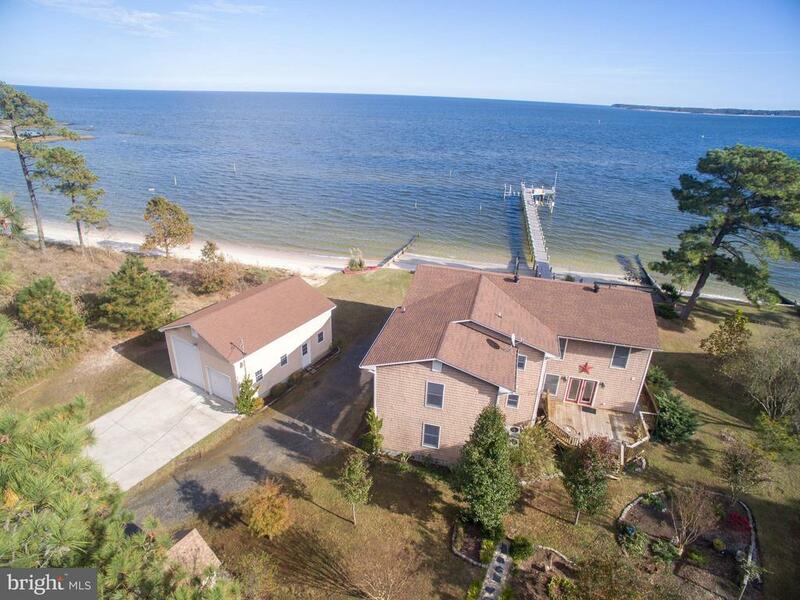 This home on Tabbs Creek has amazing views out to the bay, a sand beach, fantastic dock w/ 2 boat lifts and 5' MLW (per owner). The spacious home has room for the whole family! The first floor features a large master bedroom and office with 2 full baths. A full bath is located off the foyer and is the perfect spot for getting cleaned up after a day on the beach, sailing or fishing. The second story features phenomenal views, an open floor plan with a waterside kitchen, dining area and large living room as well as 2 additional guest bedrooms, a full guest bath and a large master bedroom with its own bathroom. The kitchen has stainless steel appliances, gas cooking and a island with bar seating. The huge screened porch is located just off the kitchen and living room and is the perfect spot for enjoying the southern breezes and gorgeous views! The first floor has a large covered deck, covered hot tub area and there is another large deck located on the water's edge! The over sized 2 car detached garage has a tall garage door for storing your boat inside!" 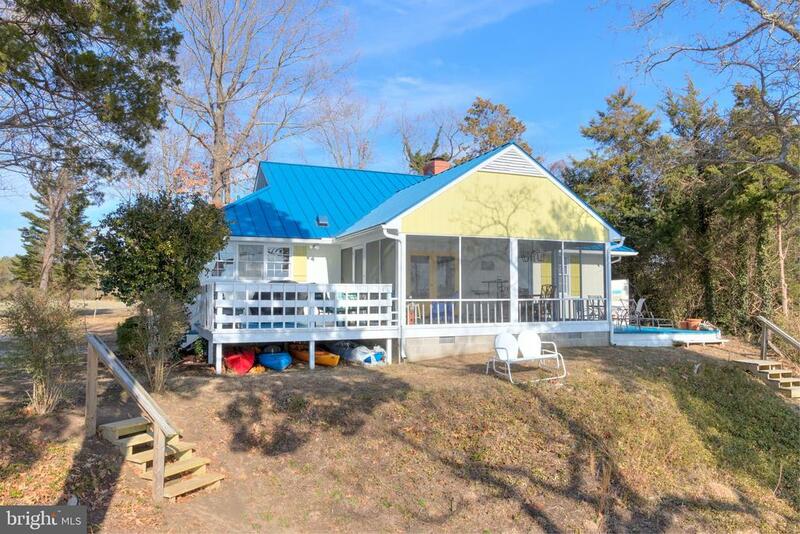 "Enjoy the rural river life at this fantastic cottage with over 4 acres of land & huge views of the Rappahannock River & Norris Bridge! Located close to the amenities of White Stone, Kilmarnock & Irvington, shopping, dining & golfing are minutes away! Richmond is just over an hour from the house. The beach is perfect for sunbathing & launching kayaks! A recently constructed 125~ dock has a large platform for lounging & fishing. There is an outdoor shower for rinsing off after a day on the river. Additional outdoor living is provided by a large screened porch with a deck on each side. The open floor plan is great for spending time with loved ones & entertaining. Keep cozy on cold days with the wood burning fireplace. Stunning views from the waterside kitchen make cooking & doing dishes a joy. The split floor plan provides privacy & the two guest bedrooms share a jack & jill bath. The master bedroom has an attached full bath. Recent improvements include: standings seam metal roof, interior & exterior painting, new hvac, upgraded wiring & plumbing, extensive land clearing, groins for sand retention & more. A large open field provides ample space for animals or room to roam & play!" "Bring your bright beach towels, umbrellas, straw hats and bathing suits! On a dune overlooking the Rappahannock River, this resort townhome reveals a mid-century flair. Highlights of the setting are wide water views, glorious sandy beach, and maintenance-free living. A contemporary interior on two floors offers an efficient, carefree design. Walls of glass face the river and open to let in gentle breezes and sound of waves lapping the shore. The bright interior features a sunken living room. A handsome brick fireplace adds a cozy element on chilly beach nights. The sleek kitchen defies the norm of a townhome plan. Expansive granite counters and storage make it great for the cook and the entertainer. The waterfront dining area opens to the beachside porch. The first-floor master bedroom suite includes a walk-in closet and bath with double vanity. 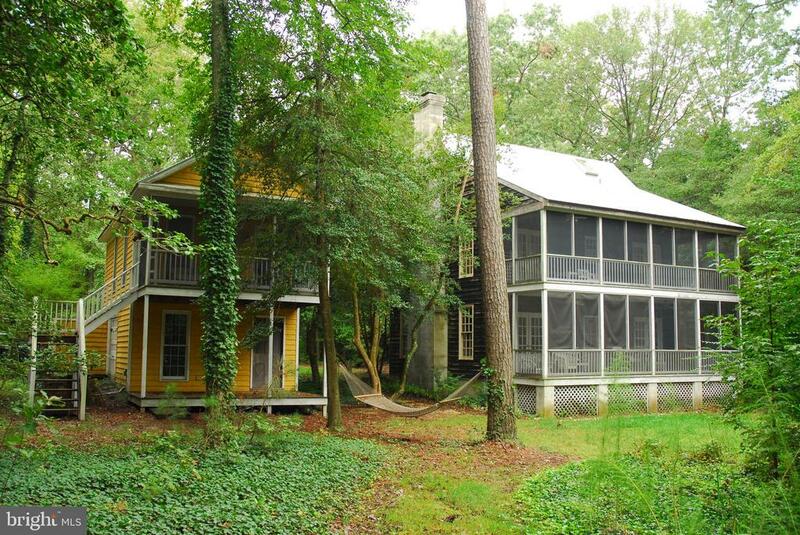 There is a sitting room on the second floor that opens to a porch, overlooking the river. This floor also includes a spacious master suite with waterside sliding doors. There is a smaller guest bedroom. Community amenities include a boat ramp and boat storage. A boat slip and pool membership are available at the neighboring marina." "An enchanting home possessing character and charm, this cottage is a magical escape. 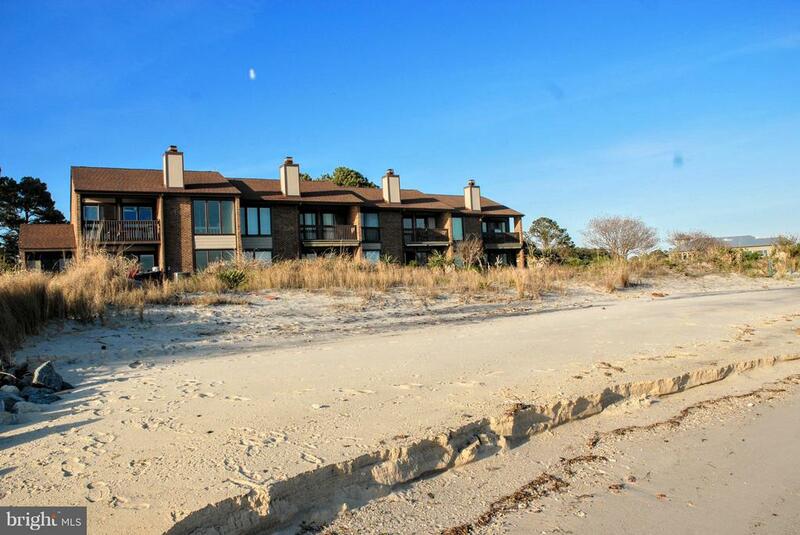 Located in a long-established, waterfront neighborhood, it is convenient to all local amenities. With a metal roof, wood clapboard siding, and stacked porches, this cottage conveys the impression that it has been here for generations. Highlights include beamed ceilings, wide plank flooring, stone fireplace, reclaimed, handcrafted trim and doors. A detached guest house with screened porch, above a large storage room, has a tree house quality. The path through the trees leads to the private dock with boatlift on Mosquito Creek - minutes to the Bay. Enjoy this celebrated, coastal, country life in this timeless waterfront cottage." "Come home to peace and serenity. This home comes with a one year home warranty. Great for training horses. Barn has 6 stalls, electric fenced areas. Garage has set up for dog grooming. Out building to store hay or play house. Large Master with tub and separate shower and cathedral ceilings!" "Savor sublime views, breathless sunrises & sea breezes at all times of the year. Designed by noted architect James Gauer- mod & sleek, with water views from every room! Seamlessly blends indoor and outdoor living with a bright, airy interior. This contemporary 5 bed, 4 full and 2 half bath home is full of light and features an open floor plan with a enviable large kitchen island, vaulted ceiling, pool, hot tub, whole house generator, pool/guest house and so much more! There are added smart-home features through a Control 4 System, letting you effortlessly control all televisions and sound systems throughout the property from your smartphone. Landscape lighting, irrigation & security systems. 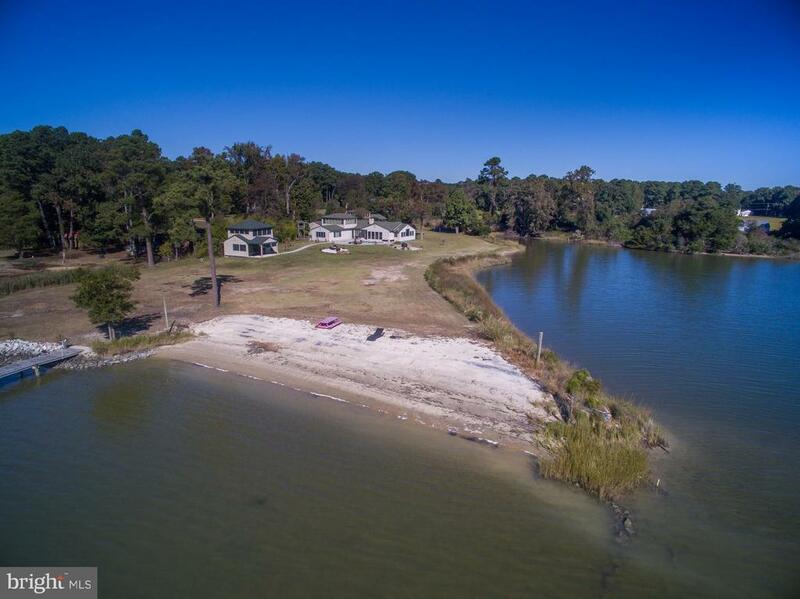 Located on Tabbs Creek in White Stone just minutes to The Bay with a private, waterside pool, dock, boat lifts and deep water. Conveniently located to many shops and amenities. 1.5 hours from Richmond, 2.5 hours to DC."